Exotic Deer Hunts for Axis, Fallow, Red Stag, Sika and more! Whether you are looking for the beautiful antlers for your wall or the delicious meat for your table, the exotic species make a nice addition to either. Exotic deer hunts offer you the opportunity to harvest exotic species that you would have to travel accros the world to harvest. We offer trophy and management hunts for Axis deer, Fallow deer, Sika deer and Red deer/ Red Stag. 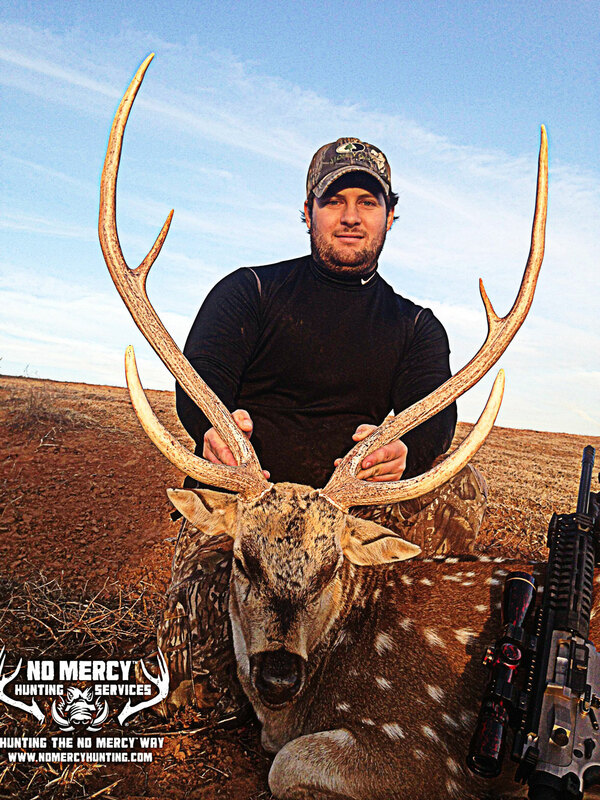 We also offer hunts for other exotic deer and african hoofstock. These can be found on our Exotic Hunts Page. Some of these additional species include black buck, aoudad and mouflon (see ram and goat hunts link), and basically any other exotic species available at other ranches. These are all guaranteed hunts (see Our Guarantee).